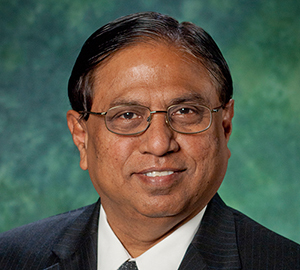 Interim Vice President of Research and Innovation and Materials Science and Engineering Professor Narendra Dahotre and Computer Science and Engineering Professor Krishna Kavi have been named UNT Regents Professors for their contributions to research and the university as a whole. A Regents Professorship Award provides recognition to faculty who have performed outstanding teaching, research and service to the profession, and who have achieved a high level of national and international recognition. Dahotre’s research focuses on laser processing of biomaterials, including precision machining of bone tissue using lasers, as well as the development of advanced bio-ceramic coatings for prosthesis implantation. As a previous chair for the Department of Materials Science and Engineering, Dahotre helped the department grow in enrollment and research as well as climb among the U.S. News & World Report rankings. 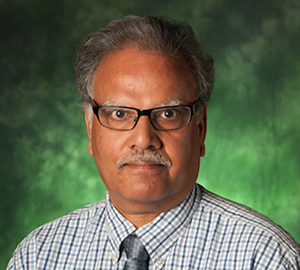 “Narendra is a standout researcher in the field of laser processing, a top flight innovator, a strong educator, and outstanding contributor to the scientific community,” said Rick Reidy, University Distinguished Teaching Professor and associate chair of materials science and engineering. Kavi’s work focuses on computer architecture, memory systems, high performance computing and hardware, software and Cloud security. He also served as the previous chair of the Department of Computer Science and Engineering, overseeing the creation and accreditation from ABET of the bachelor of science in computer engineering, establishing the bachelor of arts in information technology, and expanding the department’s research funding. Kavi also serves as the director of the National Science Foundation Net-Centric Industry University Cooperative Research Center (I/UCRC). “Krishna has built the I/UCRC on Net-Centric Software Systems from the ground up, and he is nationally and internationally recognized for his research,” said Barrett Bryant, chair of the Department of Computer Science and Engineering. Dahotre and Kavi will be formally honored for their accomplishments at the Salute to Faculty Excellence awards dinner in April.